Fall has absolutely positively arrived, both officially and unofficially. The wondrously cool nights and crisp clear days when the warmth of the sun feels good on our backs instead of making us sweat is a welcome relief from the hot, dry summer. The leaves are beginning to turn those lovely shades of red, gold, and orange and soon the frost will be on the pumpkin. 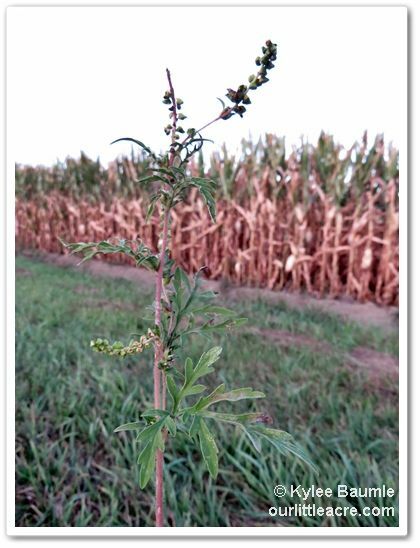 Notice the unremarkable blooms on this ragweed. And those of us that have seasonal allergies are sneezing and itching and coughing. Most of us with those kinds of allergies know that it’s ragweed that’s the biggest culprit right now, but do you know what ragweed really is? I’m here to tell you what it ISN’T. 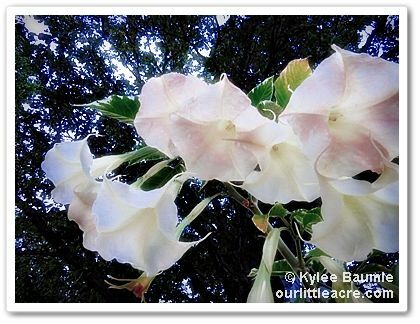 You know those beautiful golden plumy things that are blooming right now in the fields and along the roadsides? That’s goldenrod, one of our most beautiful fall wildflowers. It’s not ragweed and it’s not the cause of all your allergy frustrations, in spite of what you may have believed all these years. In fact, goldenrod pollen is too heavy to be carried by the wind, and some forms of goldenrod contain a powerful herbal ANTI-allergen for those who suffer from seasonal allergies. Take THAT, ragweed! 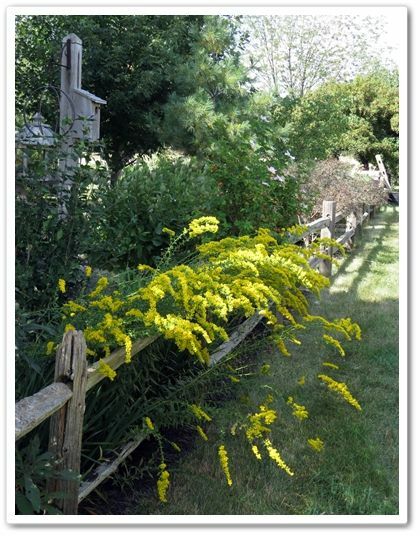 While it’s true that allergies flare up about the time goldenrod blooms, it’s because ragweed blooms at the same time. 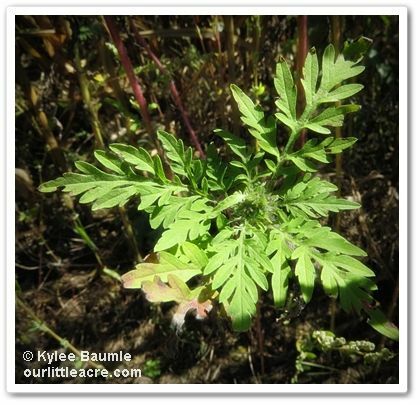 And ragweed isn’t nearly so glamorous, despite belonging to the genus Ambrosia. (There’s a cruel joke, eh?) 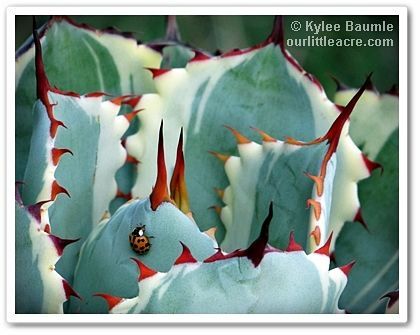 It has boring green spikes of tiny blooms and you really wouldn’t give it a second look, even if you were taking a slow, leisurely stroll down a country road. Ragweed pollen is particularly irritating, due to its spiny exterior, and though it’s found in every corner of the country, it’s more plentiful in the eastern US and the Midwest. In fact, the Midwest has the honor of having the most ragweed pollen of anywhere on earth. The bad news is that because our climate is changing, the hay fever season is becoming longer. And more bad news – if you think you can avoid ragweed pollen, think again. It’s generally too small to be caught by common filtration masks (who wants to wear those, anyway?) and it’s heaviest during the hours of 10 AM and 4 PM, so unless you can stay inside with windows closed, you’re out of luck. And you know how we all love the smell of bed sheets that are dried on the clothes line? Don’t do it. The pollen gets embedded in the sheets and then you’re just sleeping in the stuff all night. Yeah, I know. I’m not helping, am I? So let’s talk about goldenrod some more. Our native Solidago canadensis is in the Aster family. It’s the Kentucky state wildflower (Nebraska, too) and many in the Appalachian areas use it to make tea to combat fatigue. 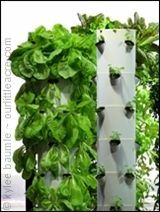 You can grow it in your gardens and many people do. There are hybrid cultivated varieties as well, such as ‘Peter Pan’, ‘Fireworks’ and ‘Golden Baby’. So, don’t blame the goldenrod for your sniffling woes. Enjoy it for its sunny disposition and natural beauty it gives the landscape. Appreciate that it’s a great source of food for butterflies and bees. You might even want to grow some in your own garden. 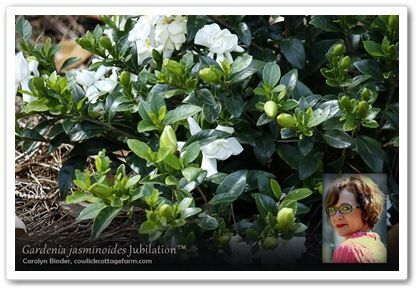 Revised from, "Vindication for the Innocent," that I wrote and was first published in print on October 3, 2012, in our local newspaper, Paulding Progress, for my weekly column, "In the Garden." It's National Indoor Plant Week and no one is happier to celebrate this than my co-writer, Jenny Peterson, and me. 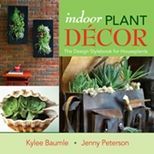 We wrote a book about houseplants - Indoor Plant Décor: The Design Stylebook For Houseplants - which was released by St. Lynn's Press in April of this year. I'm sure that the fact that this specially designated week is in September is no accident. It's this time of year that we begin to take more of the gardening fun indoors if you live in the north. I've already begun to bring in some of my tender plants (a.k.a. 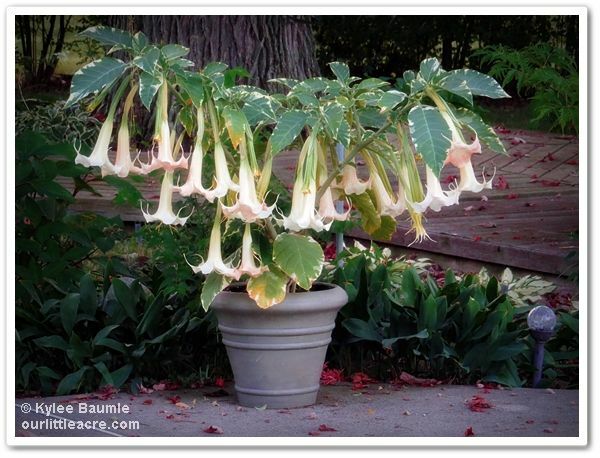 houseplants) that spend their summer vacation on the patio, the deck, the front porch, and in the garden. For me, here in Ohio, first frost is just a few weeks away, give or take, according to the whims of Mother Nature. 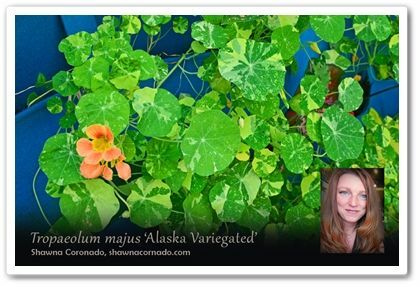 Jenny and I decided it would be fun for each of us to do a giveaway on our blogs in celebration of houseplants. We'd like to help you use them in your décor in stylish and fun ways. So, we are each giving a copy of our book away! To be entered, leave a comment on this blog post, telling me what your favorite houseplant is and what you like about it so much. If you have more than one favorite, you can tell me all of them! 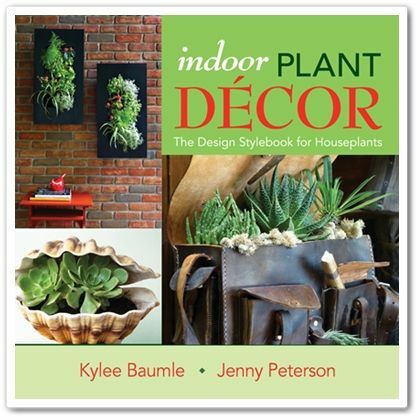 Do it by midnight EDT on Sunday, September 22, 2013, and on Monday, I'll use Random.org to pick a winner and announce who gets their very own copy of Indoor Plant Décor: The Design Stylebook For Houseplants. I suppose some of you are wondering what my favorite houseplant is. It changes for me, and right now, I'm enjoying this trio of bromeliads. 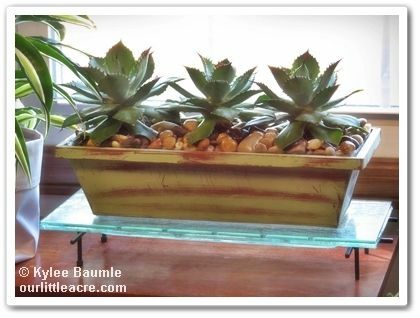 These were a gift from Lechuza, makers of those great stylish self-watering planters. 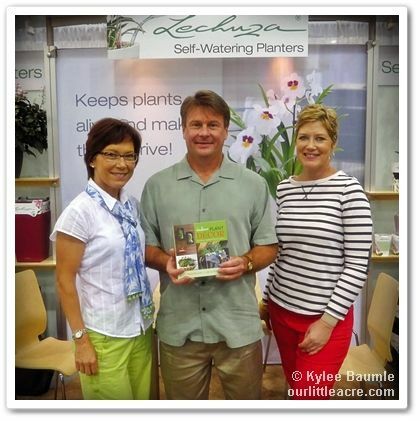 Several of their containers are featured in our book and we got to present a signed copy to them when we visited their booth at the IGC (Independent Garden Center) Show in Chicago last month. These bromeliads belong to the genus Guzmania. 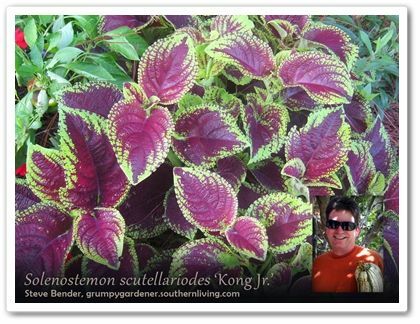 Bromeliads aren't hard to grow and are one of the plants listed in the "Moderately Manageable" chart in our book. 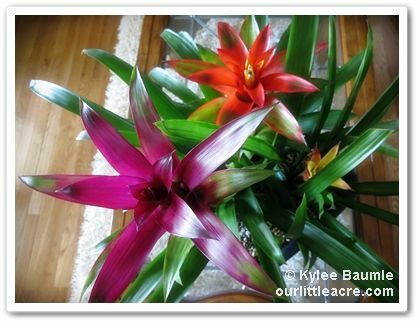 These bromeliads shown at the right (Guzmania sp.) do like water in their "cups," so even though these are growing in a self-watering planter, I will fill them up every now and then, taking care not to overwater. 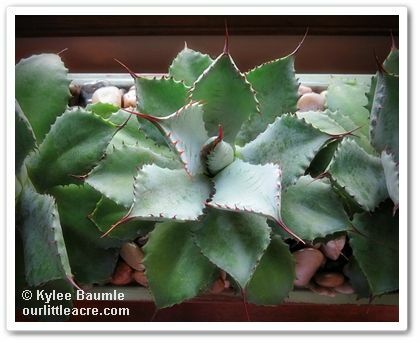 They don't like direct sun (it will burn their foliage), so they're ideal for growing in the house. 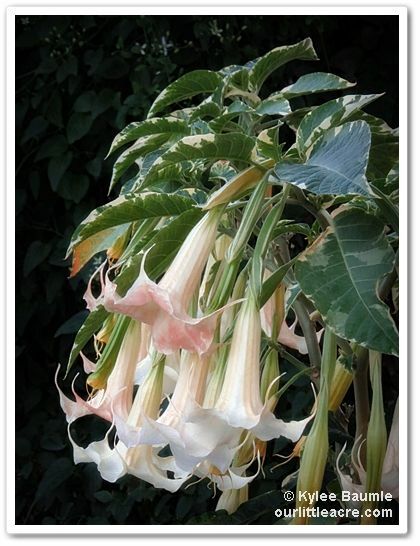 They're also readily available, inexpensive, and as you see, come in a variety of colored blooms. 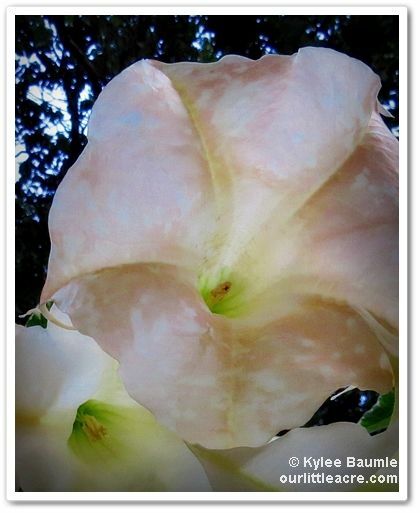 (Actually, the colored parts you see aren't the blooms. You can see a bloom starting to peek out from the reddish-orange one. 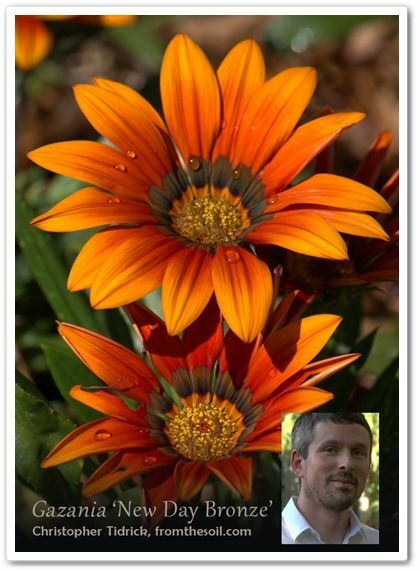 The colored parts are leaves that change color when the plant is ready to bloom.) 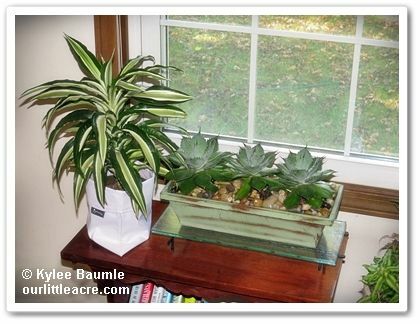 Other bromeliad types have gorgeous spotted or striped foliage. 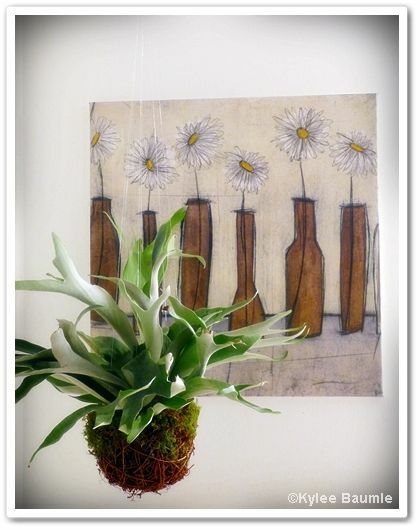 ...that tillandsias (sometimes called "air plants") are a type of bromeliad? ...that the pineapple is a bromeliad, too? So now, tell me your favorite houseplant and you're entered to win a copy of our book! 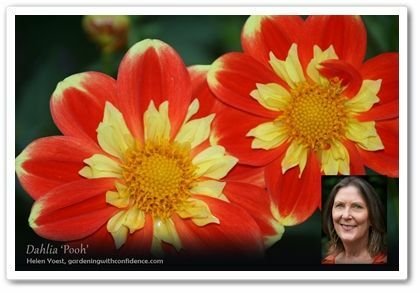 For your second chance to win, go over to Jenny's blog - J. Peterson Garden Design - and enter there! It's happened again. 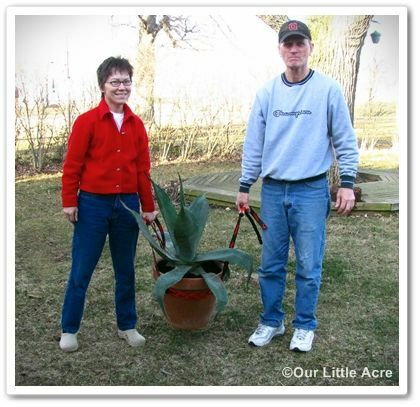 A photo I posted on my Our Little Acre Facebook page has gone viral. It was about a year ago at this time that I posted a photo of our first grandchild there and 4.8 million people viewed that, and shared it more than 2,000 times. 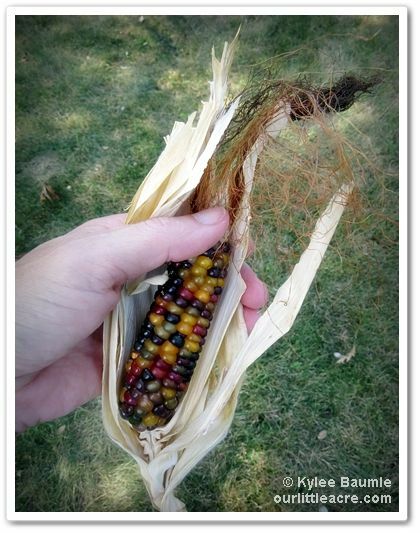 This time the photo was of the 'Glass Gem' corn I grew this summer. It has already surpassed the Hannah photo in shares (currently at 5,732), but I doubt that it will garner as many likes as our sweet baby (356,315). Back when all this happened with Hannah's photo, we dubbed it "The Hannah Effect." I really think maybe she has something to do with this corn thing too, because she spent this weekend with us and was here when I posted the photo. Viral by association. We began harvesting the corn this past week and it lived up to all the internet sensation it was last year. Each ear that I husked was as beautiful as the one before it. They didn't all look alike, but they were all beautiful, and the majority of them were multicolored jewels - "glass gems." Click on the photo to open a larger version so you can appreciate the colors better! Many of the stalks had double ears, a few had triple, and one even had four ears! 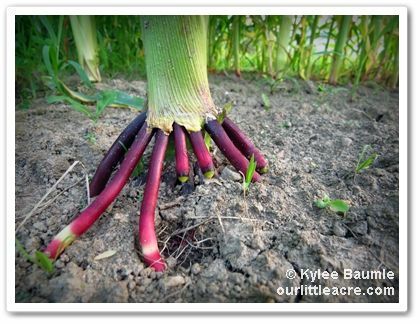 Pretty much all of the corn germinated, but not all of it was pollinated. And some of it had incomplete pollination. 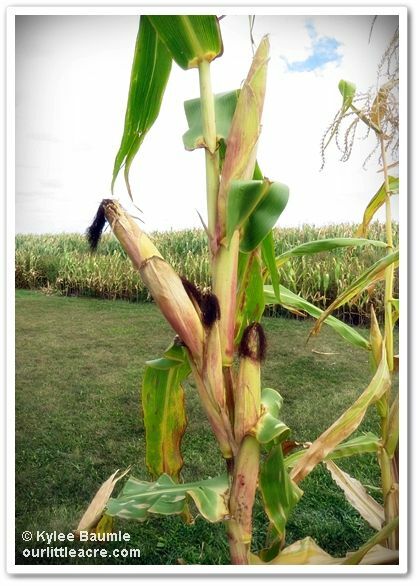 I worried that there would be cross-pollination with our sweet corn that was planted in the same plot as well as the field corn planted in the adjacent farm field. And there no doubt was. 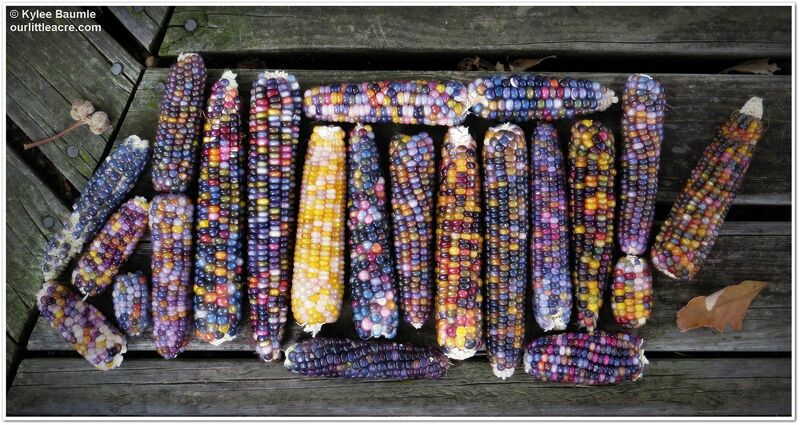 But it didn't prevent us from getting stunningly beautiful corn. We're going to grow it again next year, with seed saved from this year. On this smaller ear, the colors are darker. Yes, it's real. I planted the seeds this spring and just harvested it this past week. 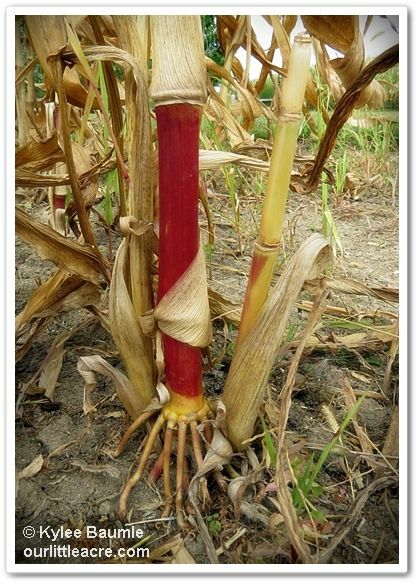 The colors you see in the photos are the colors the corn really has. They are just that beautiful. So beautiful that I can't stop looking at them. Is it a GMO (Genetically Modified Organism)? No. 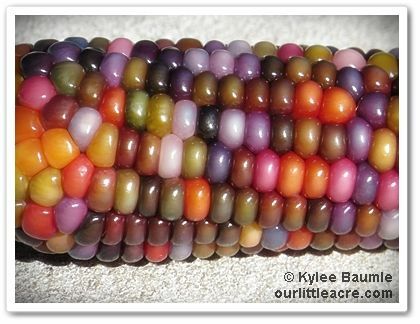 'Glass Gem' seed is an open-pollinated seed, selected by Carl Barnes, a part-Cherokee farmer from Oklahoma, over many years. 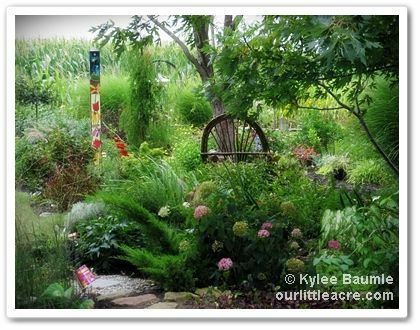 He kept selecting the best and most vibrantly colored seed each year and the result is what you see here. Absolutely. But not as a sweet corn variety. 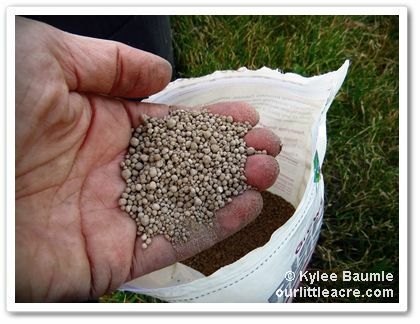 It can be ground as corn meal or popped. When popped, the kernels are white. We're letting it dry out a little longer before we try to pop it, but that's what we're going to do with it, as well as save some seed for planting next year. No. I'm just a backyard gardener, like many of you. 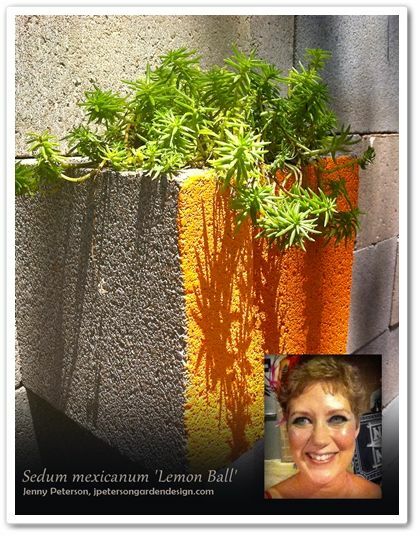 I got on a waiting list last year to buy the seed from Native Seeds/SEARCH in Tucson, Arizona. The seed was rare enough that there was a limit of one packet of 50 seeds per person and we received ours in late winter this year. They have enough now for purchase that they've been able to lift the one-packet limit. You can purchase the seed here. 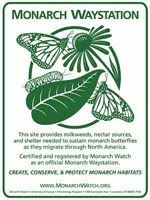 "Native Seeds/SEARCH conserves, distributes and documents the adapted and diverse varieties of agricultural seeds, their wild relatives and the role these seeds play in cultures of the American Southwest and northwest Mexico. We promote the use of these ancient crops and their wild relatives by gathering, safeguarding, and distributing their seeds to farming and gardening communities. We are a 501(c)(3) non-profit organization based in Tucson, Arizona." Buy some and grow it just because it's so beautiful. 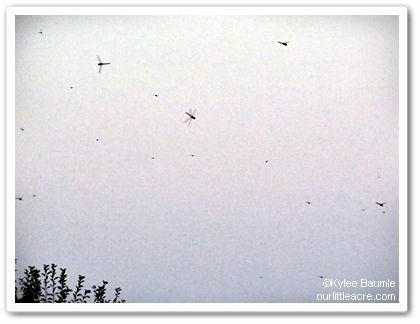 Friend Chris Baker called it The Dragonfly Apocalypse. My husband called to me to come look. Last night, just as the sun was setting in the west and making a lovely reflection on the clouds in the east, he noticed the dragonflies. Hundreds of them, frantically flying to and fro, crisscrossing the air above our heads. They seemed to be in a hurry, but going nowhere fast. And there were so many - more than I've ever seen in one place in my life. I'd been noticing more of them flitting about the gardens in the last several days, but nothing like this. Some came as low as our heads, yet never making contact with us or each other. They were high in the air too, well over the treetops and we have some pretty tall oaks that are a couple hundred years old. We stood and watched them for awhile, marveling at the dragonfly dance in the air. It was something special, to be sure, even if we didn't know just how or what was going on. After taking several photographs and a video, I went inside and posted on Facebook. Friend Heidi Eaton pointed me in the direction of The Dragonfly Woman's website, which explains some interesting details about dragonfly swarms. She encourages observers to report swarms and we reported this one on her site. We had an unusually isolated hot day - the hottest day of the year - with temperatures in the area hovering in the high 90s. This may have had something to do with it, as other people all across the area reported seeing this. The fact that observations were so widespread across a large area at close to the same latitude makes me wonder if it could be migration activity. 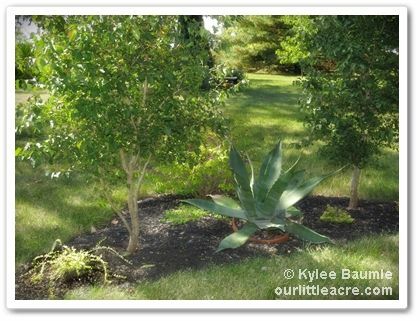 Fall is a great time to plant trees and we've been doing some of that here at Our Little Acre. Last month, I drove over to another corner of our state, to Lake County. That's almost to Pennsylvania, and don't make too sharp of a turn left, our you'll get your feet wet in Lake Erie. I had a nice three-day visit with my friend, Maria Zampini, and got to meet her mom, dad, brother, son, and two aunts. 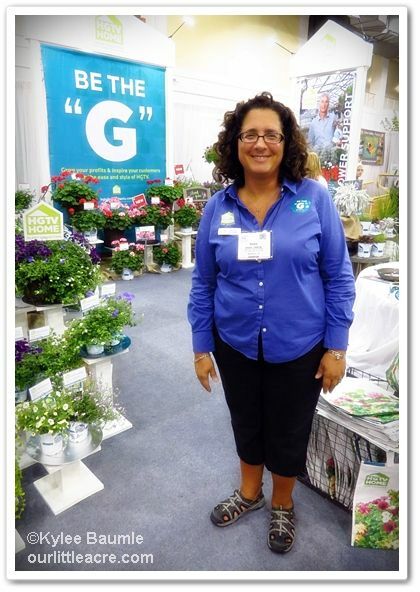 If you've never met Maria, you may not know what a force in the horticulture industry she is. The woman makes me tired just watching her. 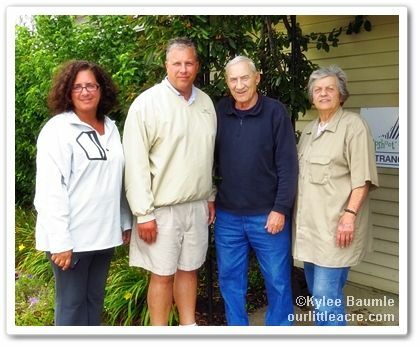 In addition to being the founder of Upshoot!, which provides sales, marketing, and licensing of new plant introductions, she works with her father, brother, and aunt in the family nursery, Lake County Nursery, home to many familiar introductions, including those great Round Table Series crabapples, like Lancelot® and Guinevere®. 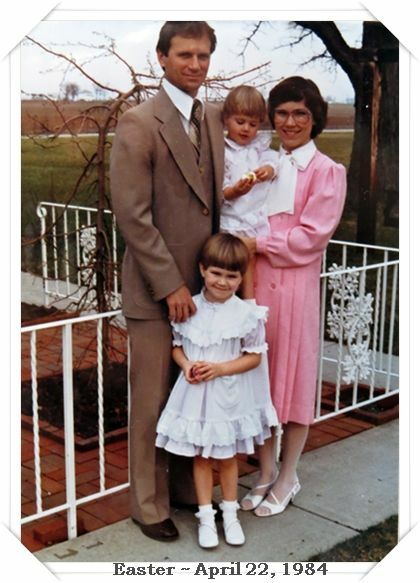 Maria is also a past president of ONLA (Ohio Nursery and Landscape Association) - the only female to ever hold that office to date. 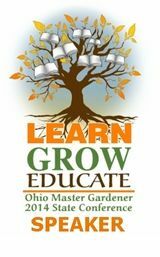 Not only that, she is the Director of Plant Development for the HGTV Home Plant Collection and is a published author, contributing to many publications, and is a much sought after speaker, traveling the world to further horticulture in numerous ways. Oh, and she just signed a contract to write a book with my publisher, St. Lynn's Press. See? And that's only part of her schedule of activities. Lake County Nursery is responsible for the introduction of the very popular Snow Fountains® weeping cherry tree, which we've had for umpteen years (meaning I don't remember when we got it), and we, in all of our then-uneducation wisdom, planted it a little too close to the front of our house. But selective pruning (to the point of bordering on abusive) has kept it looking good nonetheless. I doubt we amended our heavy clay soil when we planted it either. This is one tough tree. Do you see a pattern here? Every single one of the trees I chose is a weeper. I like that in a tree. Perhaps I'm mourning the death of our weeping willow, which we can't bring ourselves to remove from Max's Garden just yet. Even in death, it has a dignified form and I don't mind it hanging around for awhile longer. Or maybe I just like weeping trees. In any case, Romie and I both were pretty thrilled to have these and we got them planted a couple of weeks ago when we had uncharacteristically cool weather for August. There will be more about a couple of those trees a little later. 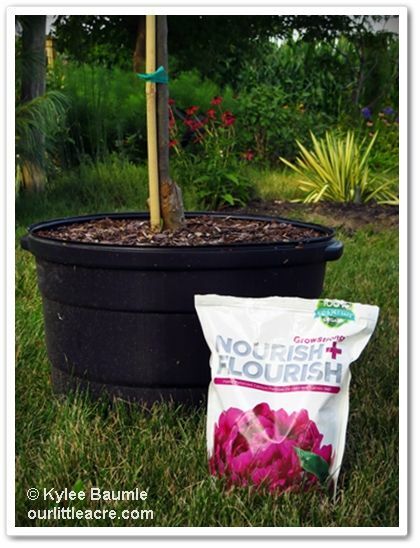 We made sure we planted them so as to give them the best start possible, including using Pure Elements Nourish + Flourish mixed into the soil, along with some compost. The first two products can enhance your plants' nutrient uptake; improve germination, shoot and root growth; and increase soil microbial activity. Soil Repair helps loosen up heavy clay soil like we have here in Northwest Ohio. Acid Repair helps adjust the pH of your soil, making it less acidic, if you have issues with that (we don't). So how do you enter to win? Just leave a comment to this blog post telling me what your favorite tree is. The giveaway ends on Sunday night, September 15th, at midnight, EDT. I'll use Random.org to choose TWO winners, who will then have three days to contact me with their shipping information and which of the four products they'd like to try. So GO! What's your favorite tree? Congratulations to Susanne Drazic and Jennie Brooks, whose comments were chosen by Random.org to win their choice of Pure Elements products! I was provided with free trees and Pure Elements products for use in my garden, with no requirement to post about them. This post is part of my sharing my experiences in my garden and I received no other compensation other than the free products. As always, all opinions stated here are my own. Would it be presumptuous of me to do a review of my own book? Well, this is going to be a little bit different than most of the reviews I do over at Horticulture magazine. When you write a book, it's kind of like building a house - once it's done, you can think of all kinds of things that you wish you'd included or stuff that you'd do differently. Actually, I compared writing that book to how it was when I used to sew for our girls when they were little. By the time I picked out a pattern I loved, bought the material, cut it out, and stitched it up, I didn't love it so much anymore. But once some time had passed, I could appreciate the time and effort it took to make the thing and could stand back and feel a sense of satisfaction in what I'd accomplished. Something that didn't exist before now served a good purpose and looked good doing it. Indoor Plant Décor: The Design Stylebook for Houseplants was a labor of love, a culmination of years of learning, growing, and stretching both my writing and gardening skills. And I got to do it with one of my very best friends in the whole wide world, Jenny Peterson. Add to that the fact that we had such a great publishing team in St. Lynn's Press, and I don't know how the experience could have been any better. Well...yes, I do. I would wish that Jenny hadn't gotten cancer, but today she's cancer-free and tearing up the landscape design world down there in Austin. I always like to explain what our book is not. 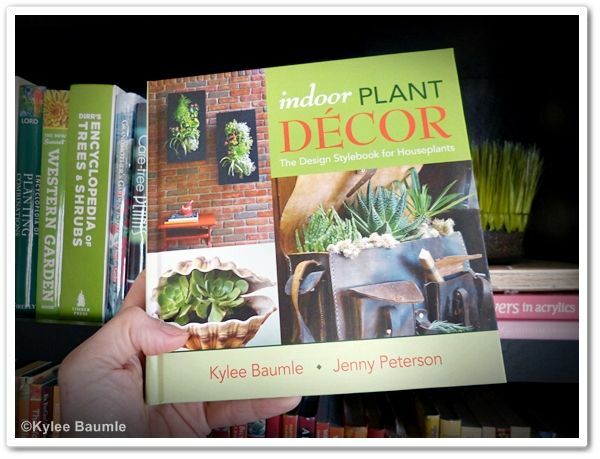 Yes, it's a book about houseplants and as the title states, it's also a book about your decor. As far as I know, it's the only book about houseplants out there that specifically helps you choose plants and how you display them according to your design style. What it isn't is a how-to-grow-houseplants book, although we do give you the basics on how to do that. But that's not our focus. We help you pick plants that fit your lifestyle and then help you with suggestions on how to display them so that they enhance your particular style. There are eight of those: Classic Elegance, Vintage Vibe, Cheap Chic, Modern Eclectic, Haberdashery, World Beat, Peaceful Zen, and Traditional Mix. There's a nifty plant chart that shows various characteristics of many of the plants used in the book (and then some), and they're grouped according to how easy they are to grow - Easy Breezy, Moderately Manageable, and Design Divas. Something for everyone! Photo from Indoor Plant Décor - and my bathroom! And then there's also a DIY project to go with each of the style chapters. One of the favorites so far is the cork planters, which the Saturday Evening Post is highlighting in their current issue (September/October 2013). 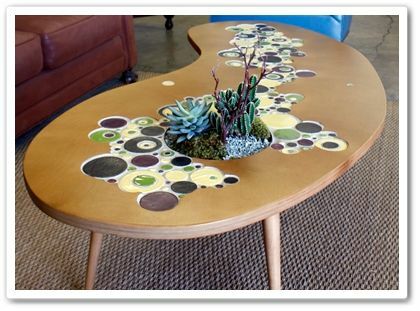 And there are other fun and easy projects for those who like a more hands-on approach to creating a focal point. Finally, we've included a resource section that tells where you can get some of the things we used in the book, and there's a list of books that we think might be good for further reading on the subject of houseplants. Houseplants are not like a piece of furniture, though they go well with it. They are living things and they won't last forever, because they aren't designed to. They will die, eventually, whether caused by you or other reasons, although some have been known to live quite well for decades! But look at it this way - every summer, we buy annuals for our outside gardens, knowing full well that when fall comes, the frost will kill them. We're okay with that! We enjoy them for a season and then next year we do it all again, many times trying something different from the year before. 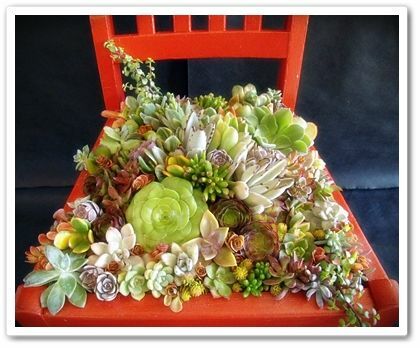 Why not do this with houseplants? 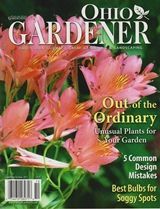 Your chances of your houseplants living for more than a season are much greater than they are for those annuals outside. They cost about the same and they certainly give you a similar level of enjoyment - maybe even more so because they share the same day-to-day living space you do. So what if your houseplant only lives for six months? Think about cut flowers. How much do you pay for a bouquet of fresh flowers and how long does that last? 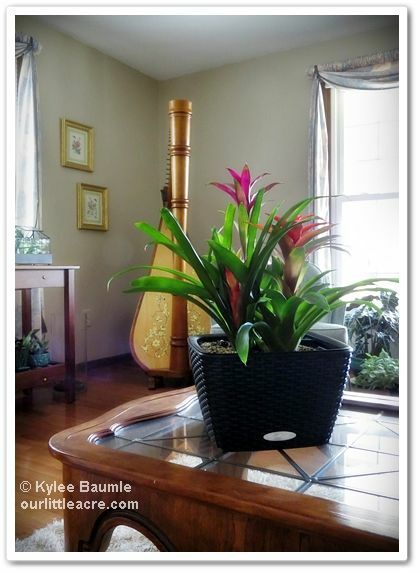 Houseplants provide such a wide variety of looks because of their various leaf forms and growth habits, and many give you flowers on top of it. Orchid blooms last for months, versus maybe a week for a fresh bouquet. And maybe, just maybe (probably), that houseplant will last beyond your wildest expectations. Bonus! Next time you're tempted to buy that box of chocolates, pick up a houseplant instead. The joy you receive from seeing that plant every day will last longer and don't forget, it's improving the quality of the air in your house while it's at it. Win-win. Or you could buy the chocolate, a houseplant, and our book, and score big. Indoor Plant Décor: The Design Stylebook for Houseplants can be purchased at Barnes & Noble stores (and online), Amazon.com, and in other places, like Australia! For a signed copy, you can purchase directly from me or from Jenny. 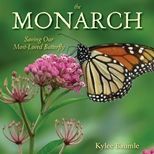 It's really a bargain, considering it's packed with ideas, has over 200 color photos and is even hardcover. Perfect for gift giving! 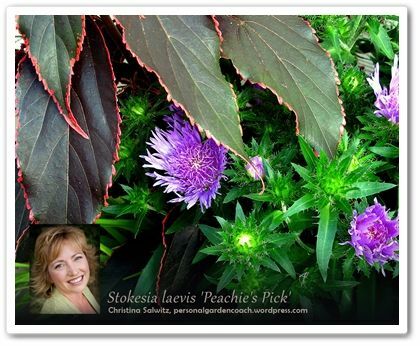 This is part of a series of posts by garden writers highlighting one plant that did exceptionally well in their gardens this year. For other posts in the series, see the links at the end of this blog post. Sometimes you buy a plant and with your purchase comes previewed hype, raising your expectations for its performance. Sometimes it lives up to that, and sometimes it doesn't. But other times, you get a plant just because you like how it looks at the time you saw it in the garden center, and you hope it continues to look at least that good in your garden for more than a few weeks out of the year. In spite of my planting it too close to both a rose and a Baptisia, 'Center Stage' has been a real trouper - as in stealing the show from the rose (bless its heart, it managed to push a few blooms up through the Coreopsis). 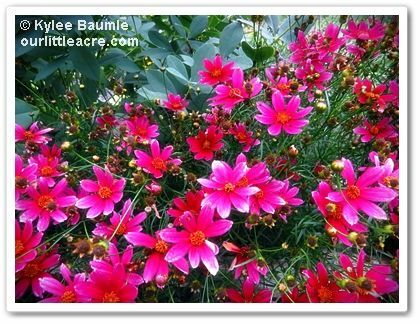 Not only that - and this is HUGE in the world of threadleaf Coreopsis - it doesn't require deadheading! 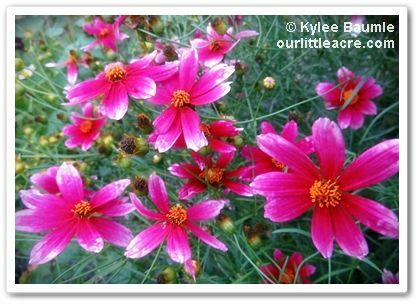 I made a confession on my Our Little Acre Facebook page a week or so ago, in which I admitted to deadheading - not shearing - my threadleaf Coreopsis plants. 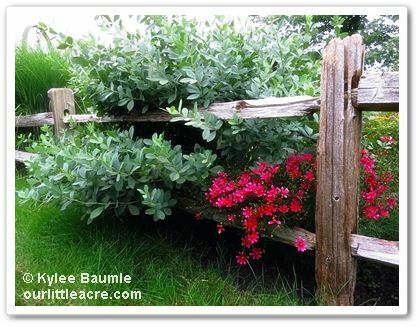 Most gardeners will just wait until the first flush of blooms is over and then take the pruners to the entire plant and shear them all off, maybe removing a fourth of the plant's upper growth. The problem with that for me is that I hate cutting off unopened buds and with these types of Coreopsis, that simply can't be avoided. So I patiently cut the spent blooms off individually and by the time I'm done, my back and neck are usually done, too. But I can't help it. For what it's worth, it pains me to thin things like beets and carrots, too. I've been known to transplant beet thinnings in between the rows. So the fact that 'Center Stage' doesn't even need deadheading is like music from heaven to my ears. I will say, when I read that, I didn't believe it, but I'm here to tell you it's true. I didn't deadhead that plant even once all summer and it has bloomed continually, even on the north side of that large Baptisia. I'll be moving 'Center Stage' next spring, to a place where it can truly live up to its full potential. 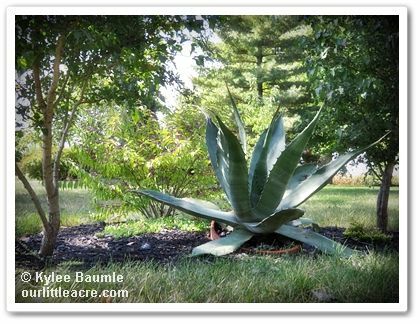 That means full sun (it can be grown in part shade too), good drainage, and a space of at least 2½-3 feet around. 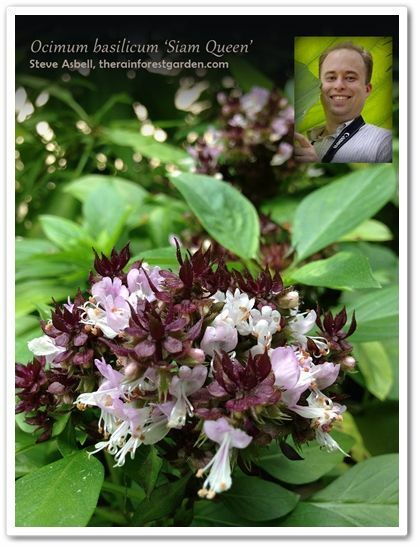 Terra Nova, who introduced the plant in 2011, lists it as hardy for Zone 5-10. What worked well for you this summer? Jenna on graduation day, 2005. 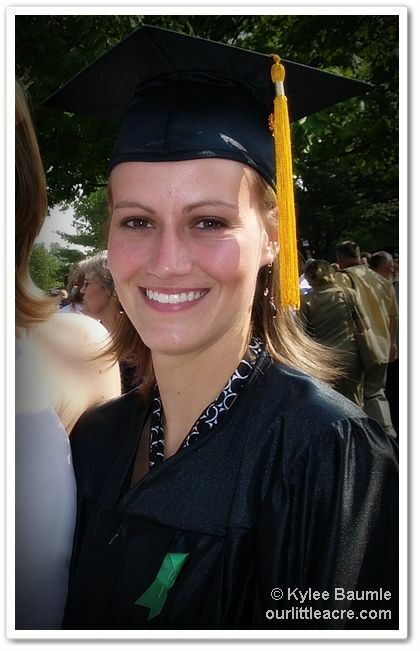 When our younger daughter Jenna (mother of sweet pea Hannah) attended Manchester College in North Manchester, Ind., in 2001-2005, where she earned her Bachelor's Degree in Athletic Training, I learned about peace poles. 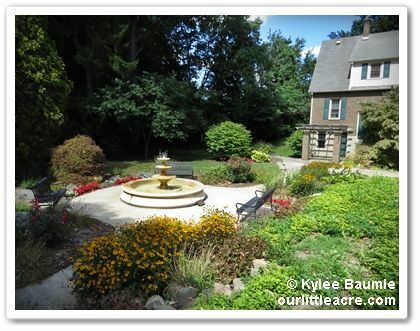 One of the residence halls where she lived was located directly across the street from the Gladdys Muir Peace Garden, home to two of North Manchester's many peace poles. Manchester College (now Manchester University) was where the first recognized undergraduate Peace Studies program in the U.S. was born, with its BA in Peace Studies first offered in 1948. The Gladdys Muir Peace Garden was established in 2001 and is adjacent to the 1929 Meeting House, used today for gatherings and classes. Peace poles first originated in the mind of Masahisa Goi of Japan in 1955. They are made of varying materials, but each has the phrase, "May Peace Prevail on Earth," in the language of the country where it's placed, as well as three other languages which hold meaning to the place in which it's erected. 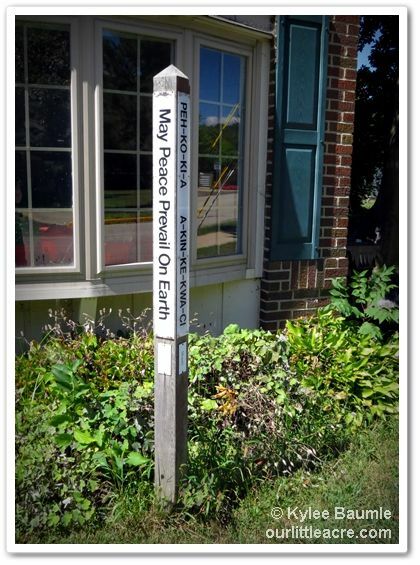 Today, The Peace Pole Project is overseen by The World Peace Prayer Society, a non-sectarian pacifist organization affiliated with the United Nations Department of Public Information. The first peace poles outside Japan were constructed in 1983 and there are now more than 100,000 around the world in over 180 countries. 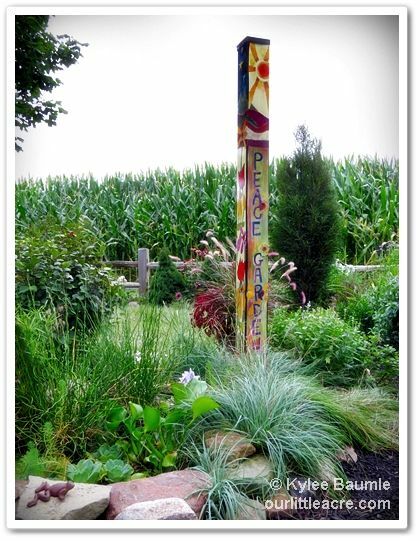 I never gave the peace poles or the peace garden another thought until a couple of weeks ago when I attended the IGC Show (Independent Garden Center), held every year on Navy Pier in Chicago. As I was walking the aisles of the large trade show, these modern peace poles at the Magnet Works, Ltd. booth caught my eye. Magnet Works, Ltd. / Studio M booth at IGC, Chicago. It was love at first sight. Coming in both 4' and 6' sizes and numerous colorful designs, I wanted one of each. The first intelligible words out of my mouth when I spied them were, "I have to have one of these." And before I left the show that week, I'd purchased one to have shipped to Our Little Acre. The peace pole arrived last Friday and on Saturday, we put it up. The installation was so easy (and brilliant) that I didn't even take photos of the process. It took just five minutes and then I spent another five admiring it. 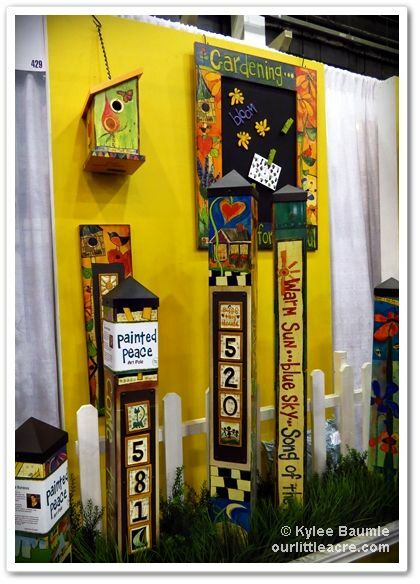 Artist Stephanie Burgess is the creative force behind the peace poles, with these being reproductions of her original wooden designs. These are printed using special fade-resistant methods and are laminated onto PVC, making them lightweight for shipping, yet durable. I chose the "Peace Garden" in a 6' size. 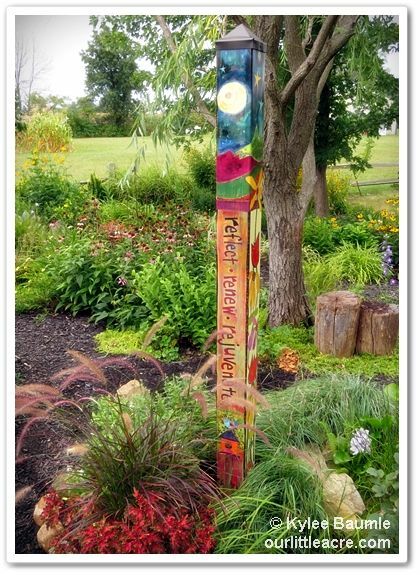 The "Peace Pole" style is a colorful version of the original peace poles with "May Peace Prevail on Earth" printed on each of its sides in four different languages. A portion of the sales from this particular style are donated to The World Peace Prayer Society. Studio M, the division of Magnet Works, Ltd. that makes the Peace Poles, is the wholesale source for purchasing, but they are available for retail sales at various venues throughout the country. Here is a search tool for finding a retailer near you. Thought forms create an energetic field strong enough to empower the course of planetary destiny. The Power of "May Peace Prevail On Earth"
"May Peace Prevail On Earth" is an all inclusive message and prayer. It is a meeting place of the heart, bringing together people of all faiths, backgrounds and culture to embrace the Oneness of our planetary family. To spread the Universal Peace Message and Prayer, " May Peace Prevail On Earth," far and wide to embrace the lands and people of this Earth.